Due to the Weather, services for Gerry Hughes has been moved to the Dickens Sr. Citizens Center in Dickens, TX 2:00 PM Sunday April 14, 2019. 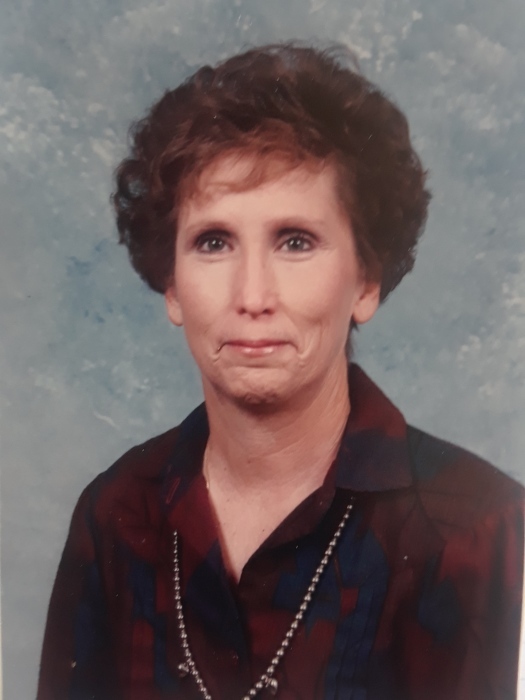 Gerry Estep Hughes, 77, of Roaring Springs, TX, born July 5, 1941, in Spur, TX, went to her heavenly home on April 11, 2019. A visitation will be held Saturday, April 13th from 5-7 PM at Zapata Funeral Home in Spur, TX. Graveside services will be at 2 PM Sunday, April 14th at the Afton Cemetery. Gerry was preceded in death by her husband Sinclair Hughes, parents Cecil and Sybil (Martin) Estep, daughters Sherri Lynn Drennon and Delilah Diane Dawes, and two brothers Forrest “Frosty” Estep and Don Estep. She is survived by daughter Gwen Hughes Bates, brother David Estep and wife Beverly, grandchildren: Tara (Dawes) & Matthew McGlinn, Kirstin (Bates) & Garrett Harkins, Alexis (Dawes) & Richard Kennimer, Grant Bates and Dylan Bates; great-grandchildren: Maxson Harkins and Easton Kennimer; numerous nieces, nephews, cousins and dear friend, James Bearden. Gerry’s family wishes to express deep gratitude to all of the caregivers and staff at the Matador Nursing Home and cousin-sister Melinda Martin Jameson. Memorial donations can be made to the Afton Cemetery Association or Alzheimer’s Foundation. Online condolences may be made at www.zapatafuneralhome.net.